Personal injury lawyers that are experienced handling serious types injury settlements include cases such as traumatic brain injuries, bone fractures, spinal cord injuries, severe burns and lacerations, and wrongful death. The long-term consquences can have a devasting effect not only for the injured victim, but the family, as well. Having an experienced injury attorney can help recover the cost of extensive medical expenses, property damage and lost wages, as well as non-economic damages, such as pain and suffering, emotional distress and mental anguish. Individuals or their representatives may file a personal injury lawsuit when the individual has suffered a physical or emotional injury due to another party's negligence. There are several ways in which personal injuries commonly occur. Personal injuries are often the result of injury and accidents such as catastrophic injuries which include things such as brain injuries, spinal cord injuries, eye injuries, neurological disorders, severe burns, accidental amputation, and multiple fractures and more. The reason an individual would file a personal injury lawsuit is to determine the party responsible for their injuries and compel this party to compensate them for their losses. Have you been injured due to someone else's negligence? If so, contact a personal injury lawyer in your local area to discuss your case today. A personal injury attorney can provide the advice and guidance personal injury victims need to obtain the financial compensation to which they may be entitled. Not all personal injury victims will be entitled to damages as not all party's will be legally responsible for the victim's injuries. In order to be eligible for damages, victims of personal injury must show that another party is legally responsible for his or her injuries. They may prove this by providing evidence that the other party's actions were the actual and proximate cause of their injuries. Actual causation can be proven by showing the literal cause and effect relationship of the responsible party's actions. Proximate causation will be based on the facts and circumstances surrounding the victim's injury. If the victim can prove that the responsible party's intentional, harmful actions were the cause of their injuries, they will have satisfied the proximate causation requirement. If the responsible party's actions were not intentional but negligent, it may be more difficult to prove proximate causation. For this reason, it is imperative that victims contact a personal injury attorney before filing their lawsuit. Personal injury lawsuits as the result of negligence are a bit more complicated, but an experienced personal injury lawyer will know how to proceed with this type of case. An attorney will endeavor to provide evidence that the responsible party should have reasonably foreseen how their actions or failure to act would have created an unreasonable risk of harm to the victim and others. For example, a store owner that fails to properly warn patrons of a wet floor could be held liable for a customer's injuries if they fall and sustain an injury. Additionally, when manufacturers produce and sell faulty products and a consumer is injured by the product, the manufacturer may be held liable for the consumer's injuries. A personal injury attorney will work diligently to identify all parties responsible for the victim's injuries and ensure these parties are held accountable in a court of law to ensure you recover compensation in a personal injury claim settlement. Personal injury law firms can help victims of personal injury prove their case and obtain the financial reimbursement they need and deserve. Victims of personal injury should contact a personal injury attorney as quickly after the accident as possible. An attorney will investigate the injury and document the detail surrounding the victim's injuries. Personal injury law firms are dedicated to assisting individuals throughout all legal proceedings, protecting their rights, and ensuring the parties responsible for their injuries are held liable. Broken bones - rehab and follow up therapy is very important to get compensation for. Brain and spinal injuries need a long-term settlement and care for skin such as face injuries need great plastic surgery efforts that you deserve, and many other injuries even slightest bumps and bruises may be something much worse. Make sure you seek a lawyer from this site to make sure you are taken care of medically. Have you been injured in an accident due to someone else's negligence? If so, you need professional legal help today. 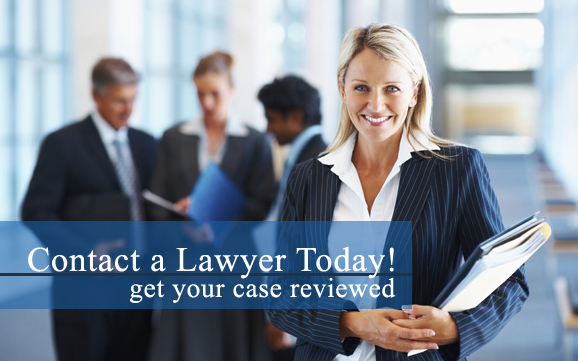 Contact a personal injury attorney to discuss your case today. In a personal injury claim settlement, any medical expenses a person endures from the injury suffered may include both past expenses, as well as future medical costs that are in connection to the lawsuit.